Similar to many types of cancer, the symptoms of osteogenic sarcoma vary and are often dependent on tumor location and the extent of the disease. The malignant growths most commonly occur in the large bones of the arms and legs, thus, pain and swelling in these areas may be observed. The knee is another frequent place osteogenic sarcomas are found, and tumors in this area are often accompanied by joint pain and limited movement. Due to the aggressiveness of the cancer, these and other symptoms that can serve as indicators that something is wrong all too often do not develop until the disease is well advanced, in which case treatment may be much less successful. 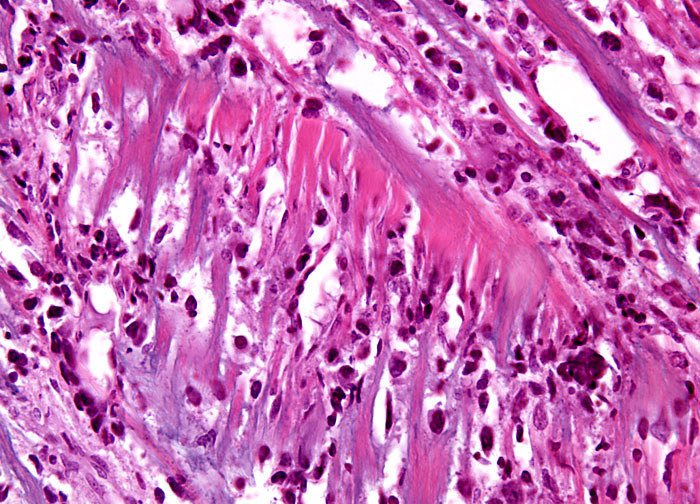 Moreover, osteogenic sarcomas tend to metastasize to other parts of the body relatively early and in cases where metastases have already developed, the possibility of a cure is low.